Most companies will answer questions from shareholders and potential shareholders. At Annual General Meetings shareholders have a right to ask questions and get answers. A large proportion of listed companies report full-year results in late winter and spring because their financial year-ends coincide with the end of the calendar year in December. As surely as spring follows winter, the Annual General Meeting season follows the reporting season. It’s upon us now. Usually the first item of business at an AGM is to receive the annual report and accounts, the first of a series of votes. Typically, shareholders elect directors, appoint the auditor, allow the company to raise funds by issuing and alloting shares, and use the company’s funds to buy back shares. Occasionally we get to vote on pay. Often the votes are uncontroversial, but sometimes more is at stake. This year’s hot AGMs include Metro Bank, where shareholders may challenge the firm about contracts with a company run by the founder’s wife, and Unilever, where they may object to a plan to relocate the corporate HQ to Rotterdam. Shell’s carbon emissions are under scrutiny, and so is high pay at Reckitt-Benckiser. Private investor group ShareSoc has spearheaded a resolution at RBS’s AGM to introduce a shareholder committee, which it believes would improve corporate governance. If that’s true of WPP’s AGM, it’s trebly true at the routine meetings of the less controversial companies I attend. People attend AGMs for all sorts of reasons. As well as activists, for some shareholders it’s a fine day out. Competitors go to find out more about rivals. I’m there because I want to know more about the businesses I invest in. The formal meeting can be over in ten minutes, especially at smaller companies when there may only be one or two other shareholders. Last Thursday, the chairman and chief executive of Science opened its annual meeting by commenting ironically on the high turnout. There may have been four or five of us. Usually the votes are decided by a show of hands, and I have never been to a shareholder meeting that has voted down a resolution. Were that to happen, the next stage would be a count of all the shares for and against, including those of absentee shareholders. Even so, there’s still a lot to be gained from attending the AGMs of companies that have escaped the attention of activists because there are opportunities for shareholders to ask questions of the directors, before, during, and after the formal meeting. My advice is to get your questions in early, in case the meeting is wound-up sooner than you expect. The AGM is the last big set piece in the reporting calendar. By the time it comes around, the company has published its annual report, which should contain answers to our questions about its performance and strategy. Sometimes, though, annual reports are lacking, or assume industry knowledge that we do not have, and we need explanations. If you read my last article in a series on reading annual reports, you may remember I’d got as far as I could reading Dewhurst’s reports. I’d worked out the company had grown, principally by buying companies in Australia. But I didn’t know what was so attractive about Australia. The only way to find out was to ask. The answer was refreshingly straightforward. Dewhurst, which supplies lift components, is buying its customers – distributors and the companies that design and fit lift cabs. Typically, it can buy these businesses at lower valuations in Australia than it can here or in the USA. American managers are also more brash than their UK and Australian counterparts, and I think Dewhurst finds its US subsidiaries harder to manage. Important though it is to work out exactly what you want to know about a company before attending the AGM. Sometimes it’s the questions other investors ask that reveal most. Science is a consultancy; it does scientific research and development and provides an increasing range of other scientific services to clients. Having observed the profitability of companies that do testing, like Intertek – also a listed firm – another shareholder asked whether Science had considered entering that market. I got the impression it had but the incumbents are too big, too automated and too entrenched to go up against. My fellow shareholder’s question gave us useful information about Science: it is only focusing on markets where it believes it can gain advantage because of its high calibre scientists. It also tells us about another candidate for investment, one strong enough to deter potential new competitors. Shareholders vote on motions published in the annual report or in a separate notice sent in advance to shareholders on the company’s register. Those of us who invest through pooled nominee accounts, which include most online trading platforms and all tax-exempt ISAs and SIPPs, don’t receive invitations because we are not on the register. To attend and vote, we must ask our brokers for a letter of representation, conferring the right to vote our portion of the shares held in the name of the broker. Many brokers don’t provide us with the resolutions or remind us when the meeting is, so we need to be organised. 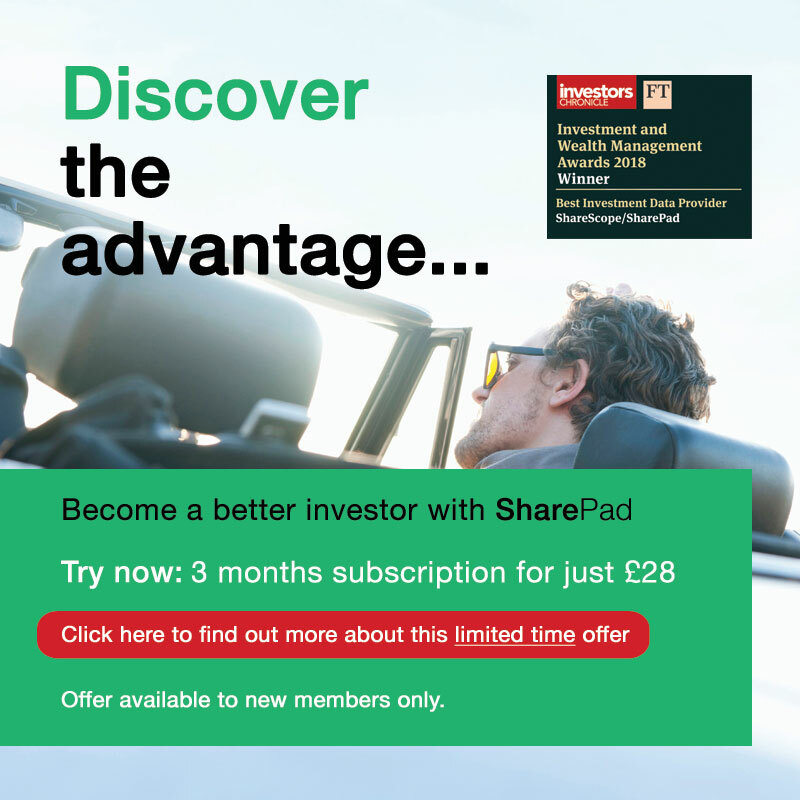 SharePad can help. I’ve asked my broker for the paperwork to attend Howden’s and Next’s AGMs. If they have published AGM notices, I will dig them out of the News section of SharePad. Otherwise I will check the Annual Report for the details. On the morning of the AGM, I check SharePad for the latest news because companies usually publish an update describing recent trading. Although the chairman will probably read this statement out at the beginning of the meeting, reading it in advance gives me time to mull it over. Usually you don’t have to be a shareholder to go to an AGM. Companies will often allow potential shareholders to attend as guests, although guests are not allowed to vote and it is best to contact the company secretary first to make sure. His or her name and the company’s contact details are in the Company section of the Financials view in SharePad. I favour the AGMs of the companies I am most interested in, especially if they are nearby and on company premises because it’s more likely we’ll be offered a tour of the factory, and get the opportunity to meet some of the people at the sharp end. There are other reasons to go to AGMs, too: free cake at Finsbury Food, a buffet at Bugman’s Bar in Games Workshop’s themed HQ, but even for me, culinary incentives are generally not sufficient to guarantee attendance on their own. If you can’t make the AGM, you can still ask the question. Some companies run events for investors. Renishaw holds an annual investor day and Solid State hosts occasional lunches, for example, which they publicise through the Regulatory News Service. We can also approach firms directly by phone or email, or through their investor relations departments. The rules of engagement are much the same: Generally companies respond well to well-informed questions from shareholders or potential shareholders.